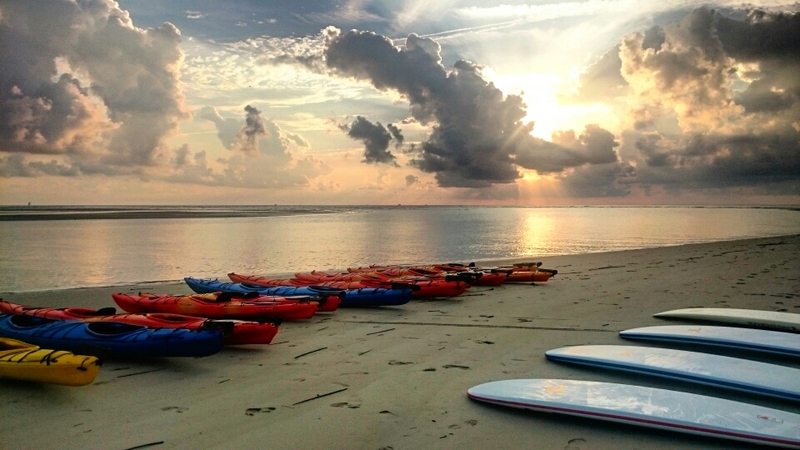 Join our experienced local guides as we discover the magic of sea kayaking. We’ll teach the skills needed to safely enjoy the sport as we watch the abundant wildlife in the marshes and on the beaches of St. Simons and Sea Island. Anyone can enjoy the stable expedition quality sea-kayaks used on our trips. This trip allows us to explore the beautiful low tide ecosystem between St Simons and Sea Island. Sand bars, marsh creeks and pristine beaches! Part of the Coastal Georgia Birding Trail. Great beach combing! Discount for kids age 12 and under. Don't see enough availability, call or email! We can usually add trips as needed. Call our shop for more information! 912-638-6732.